Three works, three worlds, three journeys. Each is related in scale, density, in the tortuous nature of the journey it undertakes, and in its joint desire for action and contemplation. Each is rooted in its need for space and time, and in its desire to take on a substantial journey, a quest, a conquest. Listening to them, one might well consider these works as a large-scale trilogy. However, the idiomatic nature of each instrumental setting, and the specific principles which are followed in each composition, emphasise the three different approaches. All three pieces belong to a group of large scale compositions, which are written without separate movements yet each with a unified trajectory which undergoes multiple twists and turns. 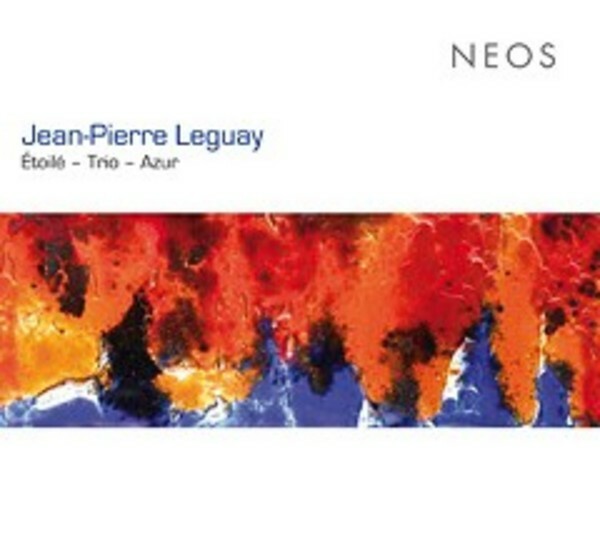 Jean-Pierre Leguay was an organ student of Andr� Marchal, Gaston Litaize and Rolande Falcinelli. He studied counterpoint with Simone Pl�-Caussade and composition with Olivier Messiaen, before becoming titular organist at Notre-Dame-des-Champs in Paris from 1961 to 1984. In 1985 he was appointed titular organist at the Cathedral of Notre-Dame de Paris. He has won numerous prizes for organ, improvisation (on the organ and piano) and composition. Internationally recognized as a concert organist, composer and improviser, not only at the organ and piano, but also in a group, Jean-Pierre Leguay pursues his three-fold career in France and abroad, throughout Europe, Canada, the United States and Asia. He became a �Chevalier de la L�gion d�Honneur� on 1 January 2013.